DD-WRT Forum :: View topic - WRT310N recovery. Posted: Mon Jul 13, 2009 22:44 Post subject: WRT310N recovery. This unit had a corrupt kernel but wouldn't allow the unit to boot, or load a tftp build of FW. I installed Serial and JTAG headers so I could see what was happening with the unit. TJTAG would recognize the CPU chip...but not the flash memory chip. After a quick search...I found that others have had good luck using the /fc:19 switch with TJTAG for another Samsung 2M X16 chip. Then I tried to tftp the FW back on the unit (12476_mini.bin)...but I got the "Incorrect Header" message displayed in the Serial terminal, that indicated the CFE for this unit was looking for a header that started with "310N"
[EDIT] - I just found out that BrainSlayer builds have been created (at least since March) with the 310N specific header....The build I posted below is the Eko build 12476 NEWD mini that I inserted the header into.....so if you want an "official" Developer created file you can get them from BrianSlayer's directory....otherwise, feel free to use the one I posted below. Once this build was loaded, the unit rebooted and functioned properly. I now have a working WRT310N 4M/32M unit for testing dd-wrt. Note the JTAG header was bent 90 degrees facing down and an access hole was cut in the case. The Serial is also bent 90 degrees so the contacts remain on the top of the mobo and can be accessed from the top of the mobo...contacts are on the underside of the mobo. 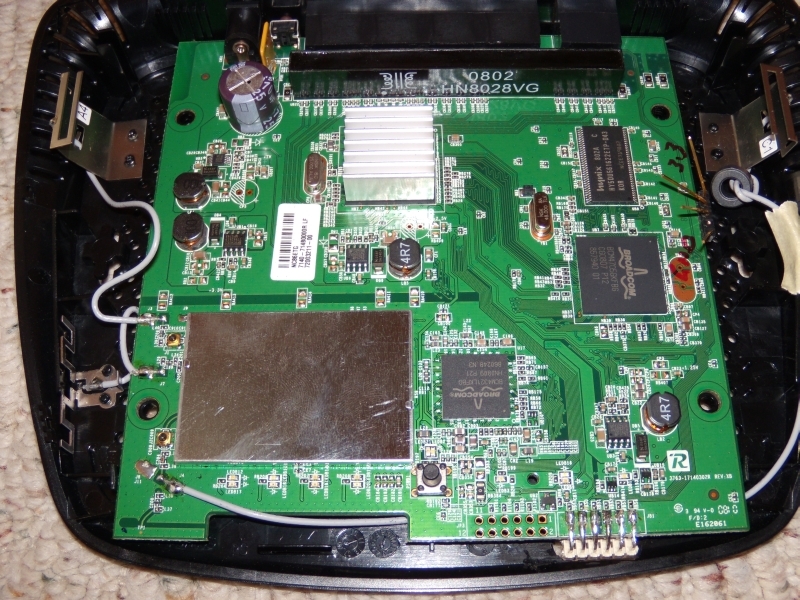 JTAG access from bottom of case. yeah as soon as i posted this one i looked over in the other thread and saw that post lol but thanks man! im going to upload the mini build on mine! Is there a special cable that is needed for this....what is it called? This cisco cable... This would be rs232 or is it ttl output from the router? I found the K8P3215UQB datasheet for the flash chip. I have sent it to Tornado for future JTAG support. But...until then.../fc:19 with TJTAG3 is working to communicate with the device. guys, my brick router (WRT310N) need to recover, I just tried JTAG3 with jtag -erase:kernel /fc:19 /noreset and success twice, then tried with: jtag -erase:nvram /fc:19 /noreset and success also. but the Power LED flashes and when I'm trying to ping to default IP 192.168.1.1 no respond. WIFI LED is lit. am I doing someting wrong or I'm missed step? and what is the meaning of 30/30/30.. thank you and apologize for my English..
and what is the meaning of 30/30/30.. thank you and apologize for my English..
You need to read the peacock thread at the top of this forum. hard reset (30/30/30) is covered...as well as how to flash with tftp. but the process show "fffffff fffffff fffffff" for each block, this happen both CFE and Kernel. is that mean that the CFE is blank? how to program it? I never use command jtag -erase:cfe ..
@redhawk: thank you for your quick respond. let me check the thread first. Sorry about being vague with the static thing.. The first thing to do is ping the router after eraseing nvram & kernel. 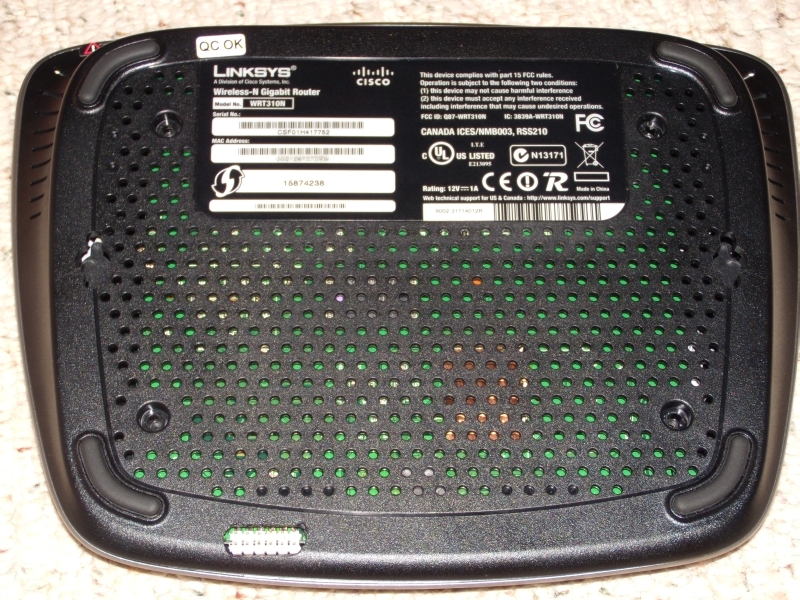 If the cfe is good, the router will respond. It is common for a user to forget to set a static IP in the rig. I do it all the time (forget). Except for the flashchip being forced, your jtag setup see's the processor right. If you cfe backup is all ff's, then you need to flash a cfe 1st.